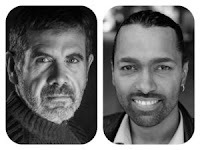 Luis Salgado and Rafael Beato, shown at left and at right, are featured in an article in Washington, D.C.-based daily newspaper El Tiempo Latino, on account of their roles as director-choreographer and Sonny, respectively, in the GALA Hispanic Theatre production of the Lin-Manuel Miranda and Quiara Alegría Hudes musical In The Heights. That production will be the U.S. premiere of the Spanish-language version of the musical, which will run in April and May at GALA's eponymous theater in the North West area of Washington, District of Columbia. To read the article, which is in Spanish, click here. 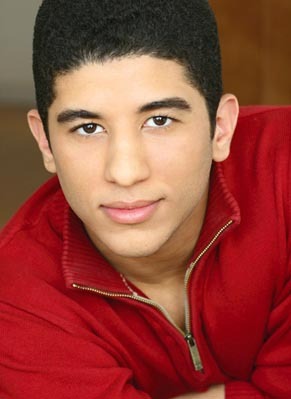 Erick Betancourt was just cast in The Public Theater's summer production of William Shakespeare's Julius Caesar. Directed by Oskar Eustis, the production will take place in May and June at the Delacorte Theater in Central Park in Manhattan. For more information, click here. Pablo García Gámez and A.B. Lugo, shown left to right in image at right, were featured in the Héctor Luis Sin Censura blog (written and edited by Héctor Luis Rivera), as a result of the former's two-hander La vieja herida, being directed by the latter and presented as part of the Fuerzafest Festival, presented by the Hispanic Federation. 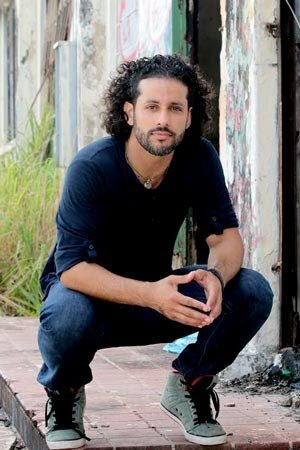 The play, produced by Álex Vásquez Escaño of Teátrica, stars Fabián González and Miguel Flores and will take place in May at the Julia de Burgos Cultural Center in Manhattan's El Barrio neighborhood. For more information on the production, click here. To read the blog, which is in Spanish, click here. The William Caballero short film Víctor and Isolina is continuing its run on the film festival circuit. The animated film (which utilized 3D models of its stars) is produced by Elaine Del Valle and Louis Perego Moreno (Tío Louie) and just won the Best Documentary Short Award at the Atlanta Film Festival in Atlanta, Georgia. This achievement qualifies the film for an Academy Award nomination. Vladimir Ríos and photographer Lester Blum, and their latest documentary photography project, Invisible, has extended its exhibition at The Hub at the LGBT Visitor Center in Miami Beach, Florida through Sunday, June 4, 2017, where it will be included as part of the cultural presentation of the World Out Games 2017, also taking place in Miami. For more information about the exhibit, click here or here. Ríos and Blum are due to premiere their new photography exhibit, I Am What I Am... We Are Who We Are!, in May as part of the Staten Island PrideFest, at the Pride Center of Staten Island, located in the Stapleton neighborhood of Staten Island.